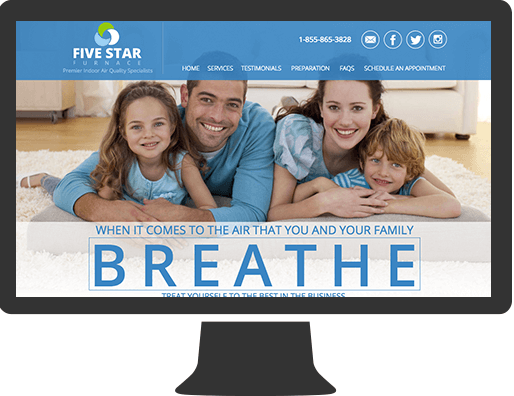 Five Star Furnace specializes in improving indoor air quality of homes and businesses. 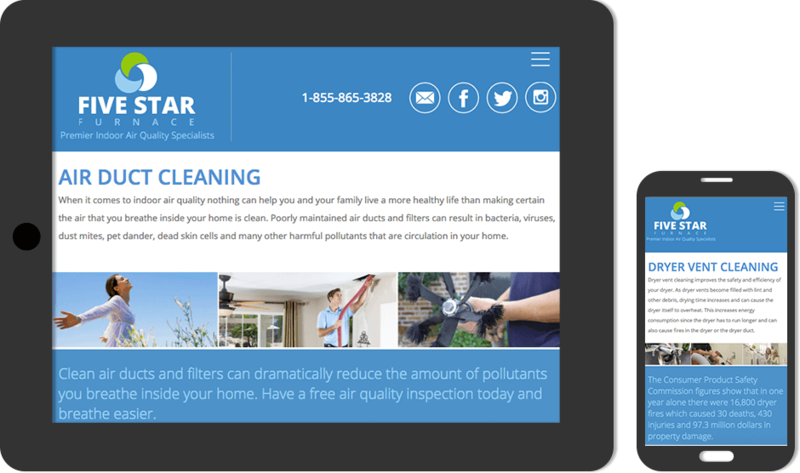 Their services include air duct cleaning, dryer vent cleaning, furnace and air conditioner cleaning. They also offer products sales that help you live a healthier more energy efficient lifestyle. 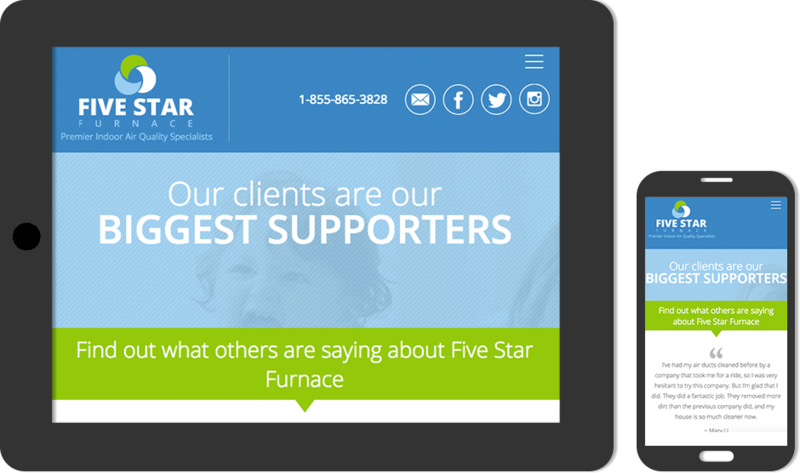 Five Star Furnace wanted a new logo and website created. They wanted to portray a feeling of fresh air and trustworthiness when users would visit their site. Five Star Furnace was very happy with their new logo, they got new business cards, branded hats, clothing, and an array of other marketing materials. We designed and hand coded a valid HTML5 website that is fully responsive and portrays the company as knowledgeable, friendly, and trustworthy.